Iron creations are fine-crafted and made to reflect the needs and desires of home owners. 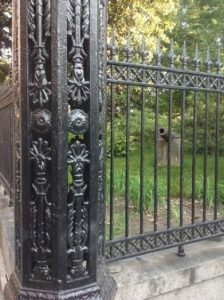 Wrought iron is typically used for decorative, architectural applications such as fencing or railings. 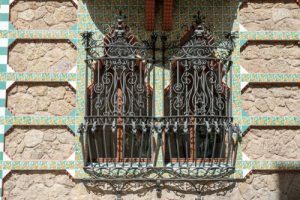 Wrought iron grows stronger the more it’s worked and can last for centuries. 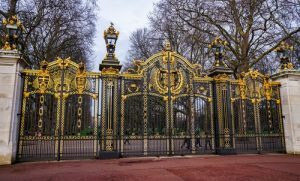 Here are six famous places that use wrought iron. Jackson Square: fleur-de-lis and coquille motifs on an ornate iron post dating from the 1850s in New Orleans.
. 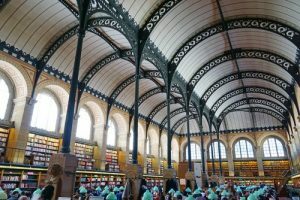 Cast iron supporting structure, ceiling of the reading room of the Bibliothèque Sainte-Geneviève, Paris by Labrouste. The Bell Edison Telephone Building (17 & 19 Newhall Street) designed in 1896 by Frederick Martin of the firm Martin & Chamberlain. 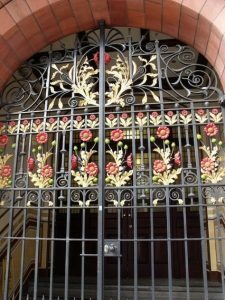 It was built as the new Central Telephone Exchange and offices for the National Telephone Company and is popularly known as the Bell Edison Telephone Building – the NTC logo behind the wrought iron gates to the main entrance includes those names. Canada Gate was installed in the early years of the 20th century as part of the memorial to Queen Victoria. They form a grand entrance into The Green Park. Casa Vicens, by Antonio Gaudi. A summer home for stockbroker Manel Vicens i Montaner in the quiet village of Gràcia, just north of Barcelona. 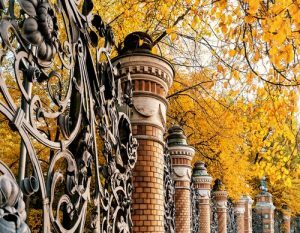 The Michael (Mikhailovsky) Garden takes its name from the Michael (Mikhailovsky) Palace which it adjoins. Throughout its long and varied history it has been a formal French garden, a hunting reserve and nursery, and during the reign of the Empress Elizabeth it housed labyrinths and fountains. Cacciola has been in business for over 35 years and continue to take steps into the future of iron works and continue the family tradition by offering state-of-the-art techniques and unique designs for builders, architects and private residences. We pride ourselves on superior customer service, well-crafted railings and our job performance. We believe in the quality of our product and our main objective is customer satisfaction. We invite you to browse our website and see why Cacciola Iron Works is a premier iron work company.